To follow up my "I've got the blues" post, I thought I'd share some (nailwheel) swatches with you. 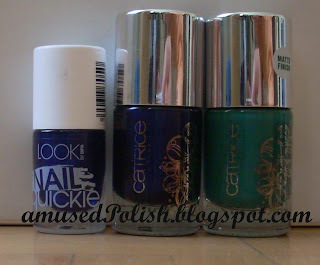 So for this post I used two polishes from Catrice's recent limited edition called Ozeana (in Blue out to Sea and Sea of Green). 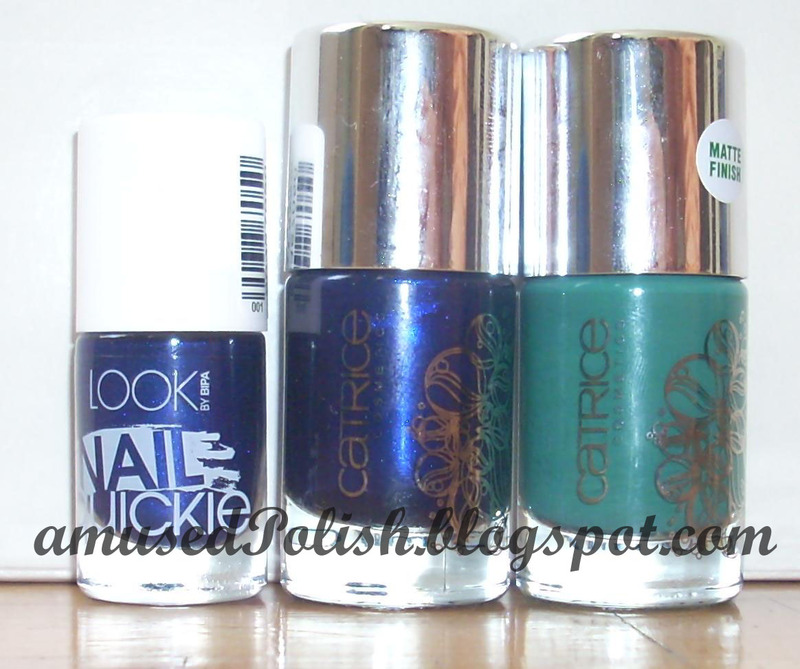 You might see that I topped half of Sea of Green with a Topcoat to see how they look like de-mattified. 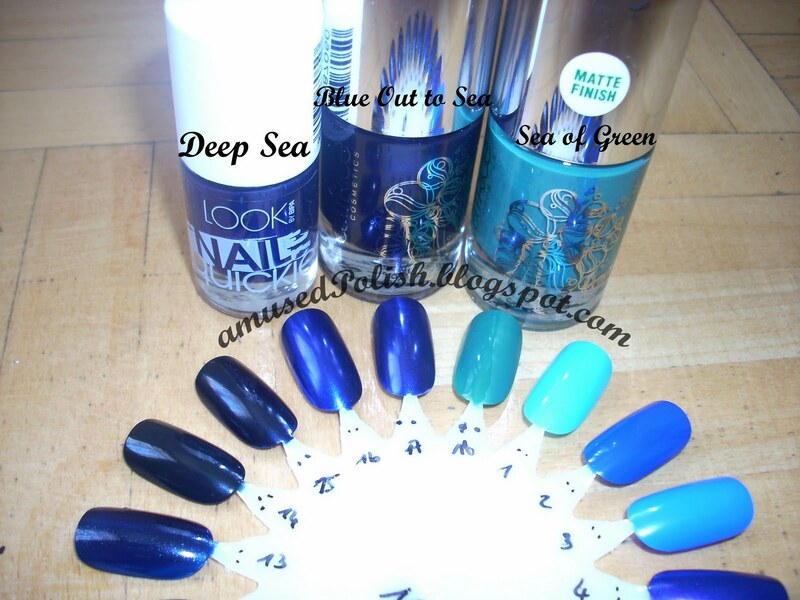 Wow, you've got so many gorgeous blue polishes! Wow looks great! I've been looking for the Sea of Green from Catrice Oceana but here in the Netherlands I can't find it anymore, only the blue and red polishes.. 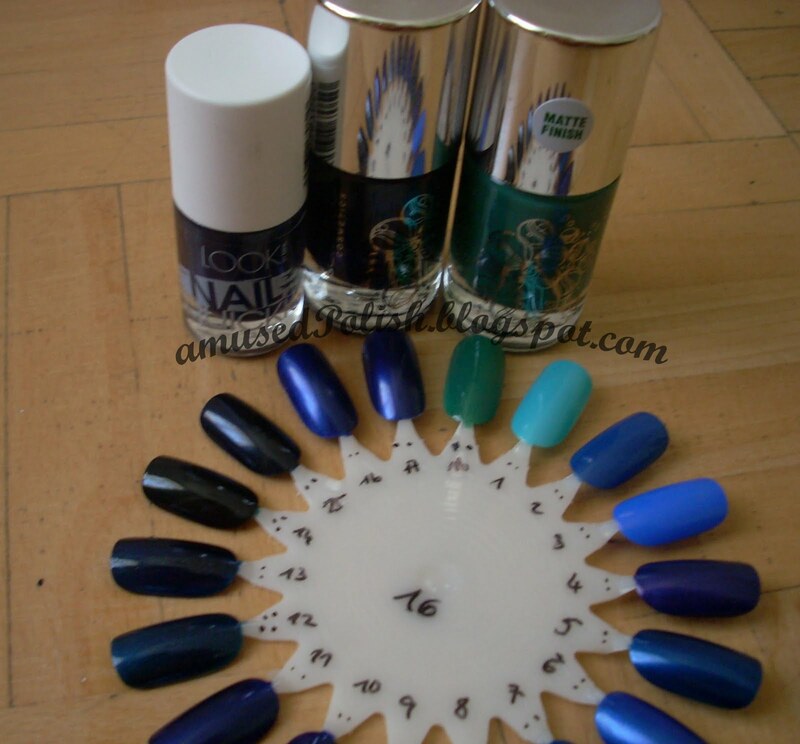 Which polishes are #1 and #12? A non-polish related post: I finally found it! Nail Mail, who doesn't love it?